SAVIN d.o.o. saves the following information of registered members of the website SAVIN d.o.o. for an unlimited time :. name, email address, contact phone, the primary address and the delivery address, country of residence, date and time of registration. SAVIN d.o.o. uses the personal data only for order fulfillment (sending information, offers, invoices) and other necessary communication with members. User data will not be transferred to unauthorized persons. For the protection of personal data, the user shall also be liable itself, that is to the security of its e-mail address, user name and password and the corresponding software (anti-virus), he needs to protect himself, as well as for computer protection. 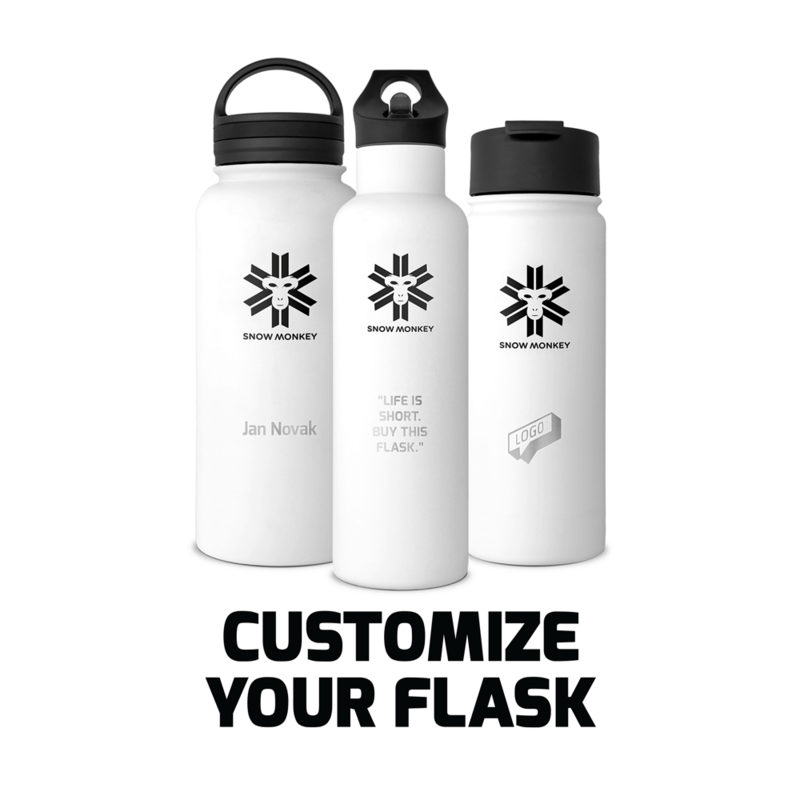 Snowmonkey-flask.com does use some non-essential cookies. We do not do this to track individual users or to identify them, but to gain useful knowledge about how the site is used so that we can keep improving it for our users. Without the knowledge we gain from the systems that use these cookies we would not be able to provide the service we do. If you want to delete any cookies that are already on your computer, please refer to the instructions for your file management software to locate the file or directory that stores cookies. You can access them through some types of browser. Search in your cookie folders to find our cookie and the Google Analytics cookie if you wish to delete them. Members of Snow Monkey are notified of new products, news, and sales.